Are you looking for pet friendly accommodation to spend your holidays in? 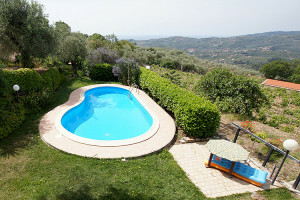 Check our dog-friendly holiday homes in Liguria and find your best match. Your four-legged mate is welcome to stay with us! Whether you are on a culinary trip, a swimming, recreational and activity holiday or on a tour of towns with lots of culture on the menu - your four-legged friend will accompany you! 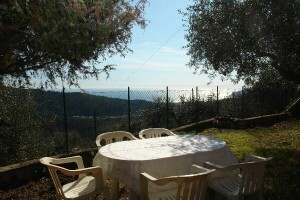 And you together with your most loyal friend can spend a fantastic holiday together in the Italian region of Liguria. 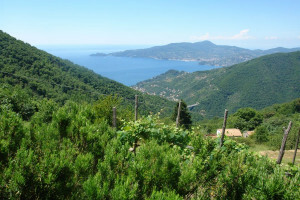 Liguria represents a perfect combination of mountains and the sea which will make your vacation an unforgettable experience. Create memories in a lovely holiday house, where even your dearest four-legged friend is welcome, and where you can once again find time for yourself and your family without having to worry whether your pet is also well taken care of. And you can find them with us! Be it in the province of Imperia, Savona, Genoa or La Spezia in the region of Liguria - we have the right, dog friendly holiday house for you. 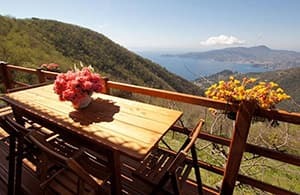 Please read valuable customer reviews and convince yourself of how beautiful and simple a holiday house with a dog can be in Liguria. Dogs are also welcome in many holiday apartments and hotels. Together with us, the BlumenRiviera team, you will find the right domicile in our holiday house catalog, so that your vacation becomes unforgettable. 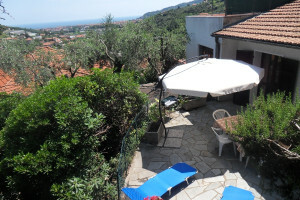 We have a wide variety of holiday houses and activities available for you and your dog in Liguria, at the North-Italian coast. 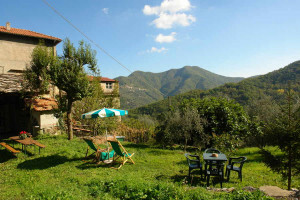 Feel free to enjoy even Ligurian specialties in an Agriturismo or in a holiday apartment without leaving your dog at home. 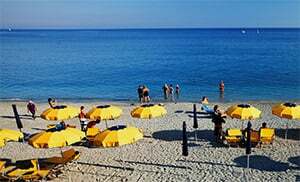 You will find numerous dog beaches and bathing possibilities for yourself and your dog in the various coastal stretches of Northern Italy. You can play with your dog on sandy beaches, gravel beaches and stone beaches, and relax with him in the sun. Please pay attention to the signposts in those places, because in Italy dogs are only permitted on earmarked dog beaches and not on public beaches. 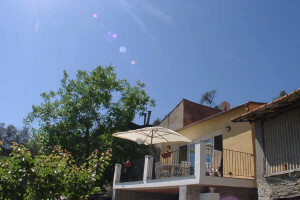 As a personal tip, the coastal areas on the edge of the bays are particularly recommendable. You and your dog are guaranteed some bathing fun in such places! Take a long walk with your dog along the coast and pay a visit to one of the numerous dog-friendly restaurants. To avoid sand and dirt in your living quarters, accommodation, dog showers are placed on many beaches specifically for you. 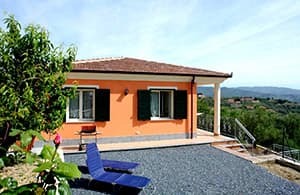 You will find a wide assortment of suitable holiday houses for guests with a dog in our holiday house catalog for Liguria. We have dog-friendly holiday houses for rent! It all begins right from the time of your journey to us: to spare your pet the heat in the car during daytime, we can also organize a night journey for you. We recommend that you stay in holiday houses with fenced gardens so that you can sit on the terrace relaxed in the evening without having to worry that your four-legged friend is going to embark on an adventurous tour in the neighborhood. Even the air-conditioned apartments are very pleasant for dogs with thick fur. 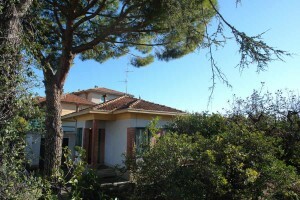 Make yourself comfortable with your dog on shady terraces of your holiday house and enjoy the nice view of the sea and the Italian panorama. 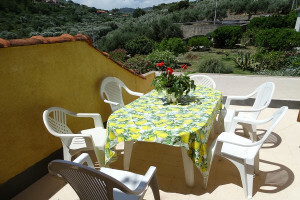 Dogs are always welcome in a Ligurian farmhouse (Agriturismo). Your furry friend will love to plunge into one of the small rivulets as you go walking in the mountains. We do our best to support your vacation with your dog, and for that matter we are ready to assist you! 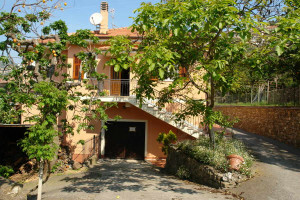 Rent a holiday house in Liguria, for instance Villa Cassaneto with two bedrooms and a fantastic compound, and you will not have to pay either an extra rental fee or extra cleaning charges for your dog. For any questions regarding fenced domiciles, and for further information on your favorite companion, the BlumenRiviera team is ready to assist you!